Frederick George Beames Hake was born in Dorking, Surrey on 25th August 1888 to parents Frederick Edward and Sarah Hake (nee Beames). In 1891 the family were at the Fox Inn in Leafield, near Chipping Norton. Father Frederick died in Caterham in Surrrey in 1896 and in 1901 his mother Sarah married Robert Rogers in Headington, Oxon. The Rogers family then lived in Oxford and Headington. Frederick was working as a telegraph messenger when he enlisted in the Royal Navy on his 18th birthday in 1906. 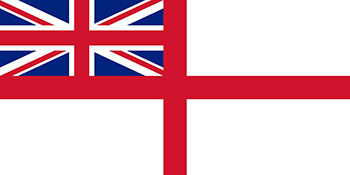 He then served as a seaman on the following ships; HMS Impregnable, Royal Arthur, Edgar, Powerful, Terrible, Excellent, Seahorse and Dreadnought before transferring to the reserve on 4th January 1913. He had purchased his discharge from the Royal Navy in order to join the Oxfordshire Police and was stationed at Thame as PC Hake until at the start of WW1 on the 2nd August 1914 he was recalled to the Navy and served on HMS Europa until May 1915. During his shore posting in mid 1915 he married Edith Elsie Stanley in Chipping Norton, prior to his transfer to HMS Black Prince. The Back Prince was part of the grand fleet that took part in the Battle of Jutland, and on 31st May 1916 HMS Black Prince disappeared without trace. She was presumed sunk with the loss of all 857 hands. 230875 Able Seaman Frederick George Beames Hake is recorded as killed in action on 31st May 1916, age 26. He has no known grave and so is remembered on the Portsmouth Naval Memorial, Southsea, Hampshire. 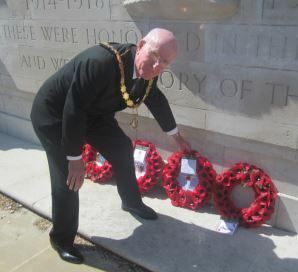 In Thame his remembered on Thame war memorial and St Mary’s church and All Saints church memorial boards.